Tisarana is located in Eastern Canada, approximately one-and-a-half hours south-west of Ottawa. It is situated on 108 acres of farm land, forest, and wetland. Monastery guests are are housed in a three story brick house. Adjoining the house is the community’s meditation hall. 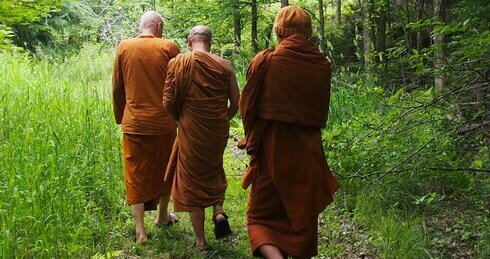 In the field adjacent to the house and meditation hall, there is a 3000 square foot structure known as the 'bhikkhu vihara', which provides facilities for monastics. It contains washrooms, laundry facilities, an office, a bowl washing room, and a large library/sangha meeting place. It also has a large room for the abbot and three spare rooms. The property also contains an exterior lay office, a workshop, and large barn, which is used for storage. There are eight kutis (cabins) spread throughout the forest, which are mostly used by monastics and occasionally long-term lay residents. Tisarana is an affiliated Branch Monastery.